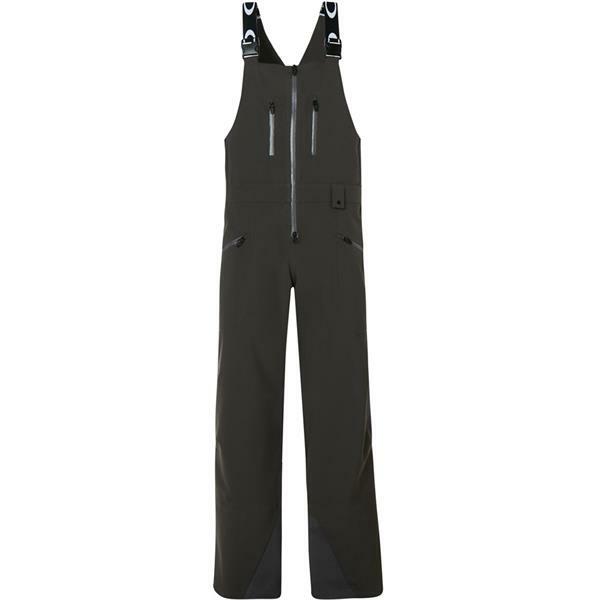 Hit the slopes in comfort and style with the Bib 3L Snowboard Pants from Oakley. These men's snow pants feature a bib design that helps provide support and keeps snow from getting inside. Comfortable straps stretch over the shoulders and can be adjusted to ensure you find the perfect fit every time you put them on. Waterproofing and fabric breathability help keep you comfortable and dry at all times, while fully-taped seams keep snow out and outer-leg venting lets body heat escape. Leg gaiters also help to keep snow from getting side your boots. Hand and chest pockets provide a convenient place to carry your phone, keys, multi-tool and more. These winter pants are durably crafted using a strong fabric blend that is designed to resist wear and tear all season long. Whether you're surfing deep pow or shredding hard-pack, these winter pants are just what you need to perform your best. Love the pattern, the fit is fantastic and the stretch material makes it easy for mobility. I have rather large thighs and most pants are tight in the quads/groin because of it, making me go up to an XL which are too long. Was able to get these in Large and it fits fantastically. I am a 5'10, 180lb female and I had been looking for overalls for a long time. These fit me great and are extremely comfortable and stretchy. Great value for your money! Wish they were a bit on the warmer side, but that's what smart wool base layers are for! Perfect fit for me. I’m 6’3” and 200 lbs. I was looking for a bib pant as powder guards never could do the trick. I have a 34” waist and the mediums were a great fit. Super comfortable. Great pockets. They held up on a back country boarding trip in Canada just great. Breathable but also warm when needed (temps ranged from -18c to -9c). Definitely recommend these. Is the blackout black or camo? Cuz in pic its camo and I'm thinking that just an error. BEST ANSWER: Correct, the blackout is all black. Sorry about the confusion!